3 mart 2016-cı il tarixində Azərbaycanın Çexiyadakı səfiri Fərid Şəfiyevin iştirakı ilə Praqada "Azərbaycanda biznesin aparılması" başlıqlı seminar təşkil edilib. Seminarın keçirilməsində məqsəd yerli çex şirkətlərinin Azərbaycana sərmaye yatırması imkanlarının təşviq edilməsindən ibarət olub. 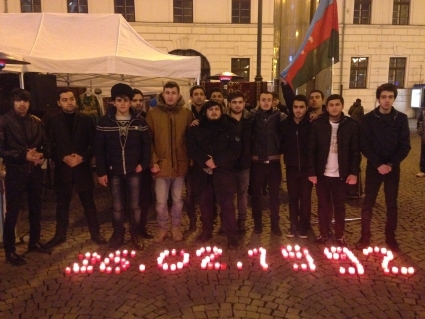 2019-03-06 The Khojali genocide was commemorated in Prague’s Staromestke square organized by Azerbaijan Student Network with the support of the Embassy of Azerbaijan on February 24, 2019. The locals, students, member of the Azerbaijani Diaspora attended to the event. 2018-12-05 On December 5, 2018, with the support of the Embassy of the Republic of Azerbaijan to the Czech Republic the annual presentation of the European-Azerbaijani Chamber of Commerce in Prague was held at the New Living Center in Prague city. 2018-11-25 The Embassy of the Republic of Azerbaijan to the Czech Republic attended the annual International Christmas Festival organized by the Diplomatic Spouses Association in Prague on 25 November 2018. 2018-05-28 The reception and concert program dedicated to the 100th anniversary of the establishment of Azerbaijan Democratic Republic was held in Czech Presidential Palace. 2017-12-14 In its December issue the "Český Exportér" magazine issued by Czech Ministry of Industry and Trade and Czech Trade Authority published an article titled 'Kazakhstan and Azerbaijan chose the path of shift from oil to modern economy'. 2017-11-21 On November 2017, the director of the Department of Political Archive Documentation of the Presidential Administration of the Republic of Azerbaijan Mrs. Elmira Alakbarova and the Head of the Department of Scientific Research and Scientific Library of the above mentioned department Mrs. Lala Huseynova paid a working visit to the Czech Republic. 2017-09-20 Ambassador Farid Shafiyev of Azerbaijan visited the city of České Budějovice of South Bohemia and met with the mayor of the city Mr. Jiří Svoboda. Bilateral relations and possible cooperation perspectives were discussed during the meeting. 2017-08-14 Azerbaijan and the Czech Republic have discussed the ways of developing bilateral cooperation as Deputy Foreign Minister Nadir Huseynov met with State Secretary of the Ministry of Foreign Affairs of the Czech Republic Petr Gajdušek. 2017-07-30 The Czech companies may use international routes passing through the territory of Azerbaijan to supply goods from the European Union to the east, Czech Minister of Industry and Trade Jiri Havlicek said in an exclusive interview with Trend. 2017-07-16 President of the Czech Senate Milan Stech has hailed Azerbaijan`s rich energy potential as he visited Azerbaijan`s pavilion at Astana EXPO-2017 exhibition. 2017-05-31 "Pomegranate Garden" movie by Azerbaijani director Ilgar Najafov will be screened at the International Film Festival Karlovy Vary. 2017-05-26 Azerbaijan’s embassy in the Czech Republic held a reception on 28 May - the Republic Day of Azerbaijan. 2017-05-24 A conference titled “Relations between Czech Republic and Muslim countries” was held under the chairmanship of Azerbaijan`s Ambassador to the country Farid Shafiyev. 2017-05-19 Azerbaijani-Czech working meeting has been held in Baku. 2017-04-27 Azerbaijan and the Czech Republic have discussed ways of developing cooperation as a delegation of Azerbaijani parliamentarians visited Prague. 2017-01-25 The Embassy of the Republic of Azerbaijan has assumed the Chairmanship of an Organisation of Islamic Cooperation Prague Group (OIC PG) in 2017. 2017-01-18 The delegation led by Czech Minister of Industry and Trade Jan Mladek has visited SOCAR main office to meet Vice President for Field Development Yashar Latifov. 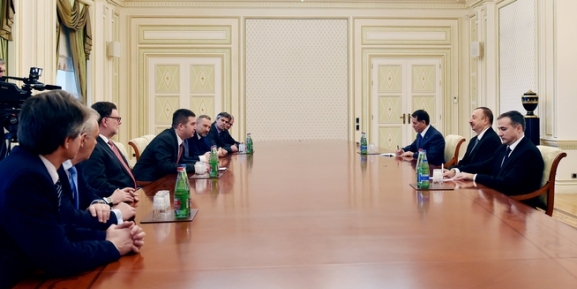 2017-01-18 "The Czech Republic is interested in expanding cooperation with Azerbaijan," said Czech Minister of Industry and Trade Jan Mladek as he met with Deputy Speaker of Azerbaijan`s Parliament, head of the Azerbaijani-Czech working group on interparliamentary relations Valeh Alasgarov. 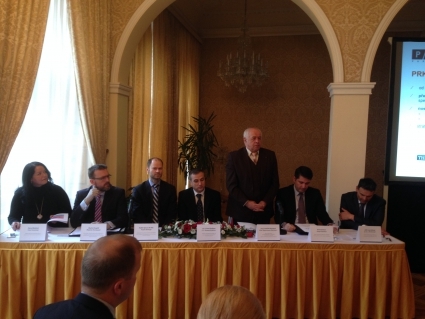 2017-01-17 "Czech companies are interested in operating in Azerbaijan's non-oil sector," said Czech Minister of Industry and Trade Jan Mladek as he met with Azerbaijan's Economy Minister Shahin Mustafayev. 2017-01-17 Azerbaijan wants to expand the export of non-oil products to the Czech Republic, said Azerbaijani Economy Minister Shahin Mustafayev. 2016-12-23 Due to the Solidarity Day of World Azerbaijanis and the New Year, the Embassy of the Republic of Azerbaijan to the Czech Republic will be closed on 2-4 January 2017. Consular section of the Embassy will be closed as well. 2016-11-02 Western University is one of the first private universities in Baku, Azerbaijan Republic. Founded in 1991, it has become one of the leading universities in the country. 2016-10-19 Defense Minister of Azerbaijan takes part in the "Future Forces International Exhibition 2016"
2016-09-08 The Embassy of the Republic of Azerbaijan will be closed on September 12-13, 2016 due to Gurban Bayram holiday.